Available now for law enforcement on the PoliceOne Academy: free accredited online course on graffiti. Click here. 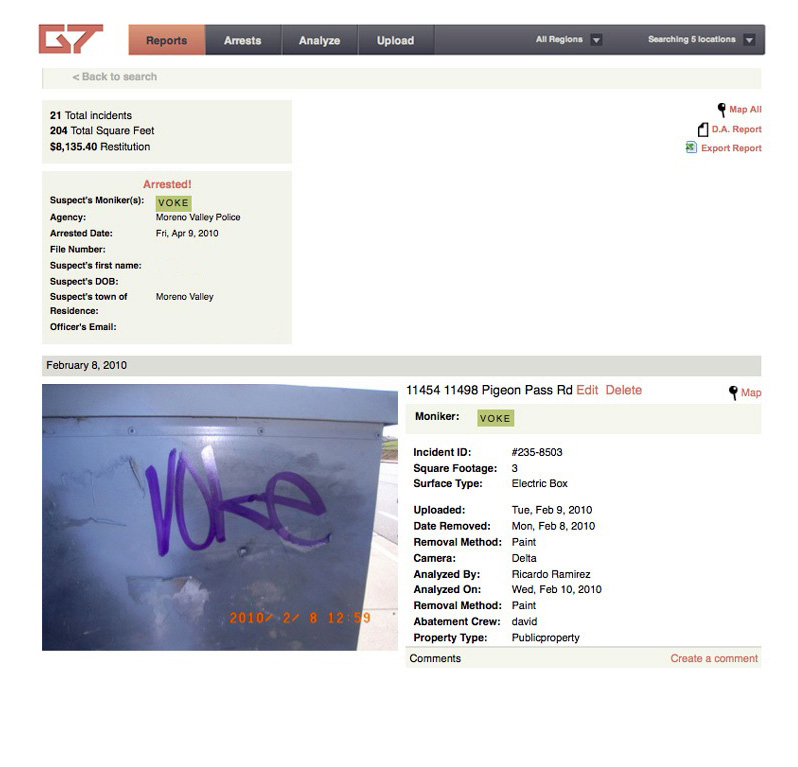 Graffiti Tracker provides clients with a free mobile app (compatible with Android and Apple devices) to photograph incidents of graffiti. Photos are uploaded to our secure, web-based system and analyzed within 24 hours of submission. Our trained analysts read the graffiti and input the intelligence into the system. We can identify whether the graffiti is gang-related and alert law enforcement to potential threats. 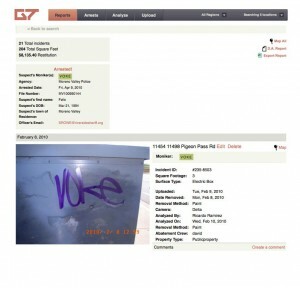 Graffiti Tracker has analyzed more than 5 million photos to date.